Bienvenidos a la Nueva Isla Cuchifritos en Bushwick! 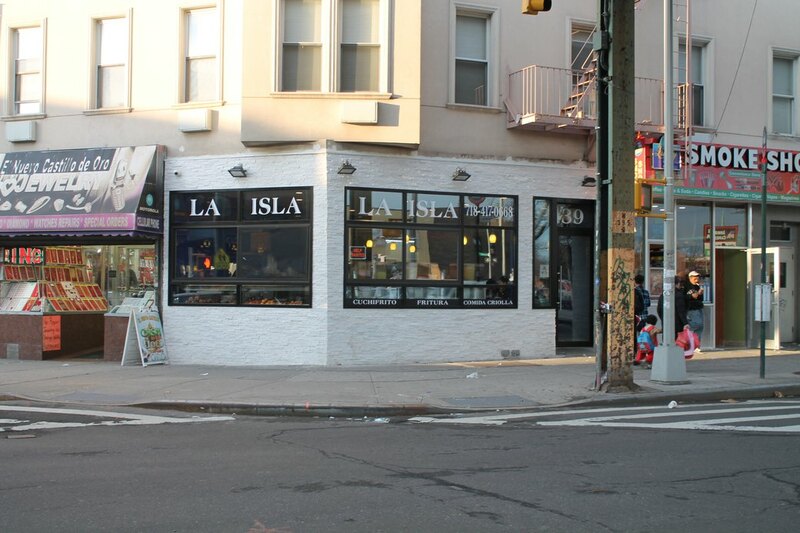 Here's some news that will be welcomed by any reader who has ever been hungry at Myrtle at Knickerbocker: beloved latin fry shop La Isla Cuchifritos is back in business and looking good after a long renovation! The newly renovated Isla Chuchifritos. Emilie Ruscoe for Bushwick Daily. 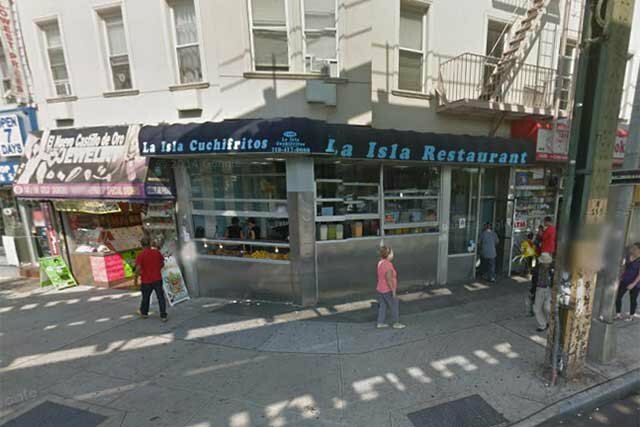 La Isla Cuchifritos, which can be translated, delightfully, as "The Island of Fried Snacks," closed its doors to the public over the winter. Renovation signs on the boards over the front of the corner shop caused many to fear that the no frills space with its takeout window and indoors dining counter would be replaced by another business. But as the weather has warmed up, La Isla has opened its gleaming new doors to once again welcome patrons to come in for platanos, rellenos de papa, deliciously slow cooked chicken and a menu of fountain juices that include tamarind and passion fruit (full menu here). La Isla Chuchifritos before the the renovation. Image via Google Maps. La Isla's A grade from the health department flanks its door, and inside, the walls are now tiled a cheerful bright blue and new pendant lamps hang from the ceiling, but the cheerful atmosphere and perfect comfort food have not changed an iota. Stop by for a fried snack or two this weekend!